Join fellow members, friends from the healthcare community and Health Village staff to enjoy a chocolate fountain, delicious desserts and chocolate themed beverages. Networking, tours of the new Women's Center as well as information on upcoming chamber events including Thrive in 105 milestone events celebrating the chamber's anniversary. 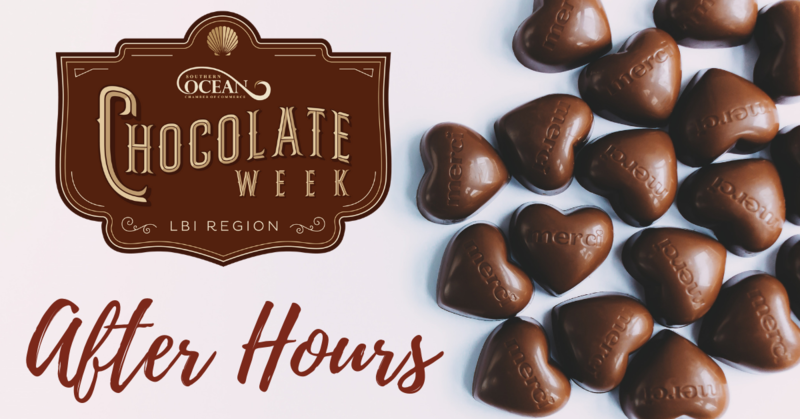 Chocolate Week encourages residents and visitors to add the local shops and events into their winter break, Valentine and President's Day weekend. The event is free with an RSVP, to Southern Ocean County Chamber of Commerce office at 609 494 7211, info@sochamber.com or by stopping into the visitor center 265 W Ninth Street, Ship Bottom.